Dominion Virginia Power crews are assessing damage and working with local emergency personnel today to return electrical service to more than 900,000 customers, including more than 98,000 in the Shenandoah Valley, focusing first on public health and safety facilities including public cooling locations. Work will continue around the clock during the multi-day restoration effort. Storm restoration information is available online at www.dom.com/storm-center/index.jsp. Customers with special needs – particularly elderly and ill persons without air conditioning who are most vulnerable to the effects of extreme temperatures and high humidity – should be checked on frequently. It also is important to be sensitive to pets, keeping them hydrated with plenty of water. The storm Friday evening brought sustained winds in excess of 80 miles per hour along with intense lightning, bringing down trees and limbs and severely damaging utility poles, cross-arms and power lines, causing widespread power outages affecting more than 3.5 million homes and businesses from Indiana through Ohio and Virginia. Storm-related damage is affecting telephone service and other forms of communications. Customers who encounter delays or problems when calling 1-866-DOM-HELP (1-866-366-4357) are asked to keep trying. Dominion is working on resolving the issues. Reporting an outage promptly – even if neighbors have done so – speeds the restoration process. 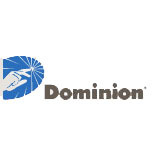 When calling Dominion, please have your account or phone number that is listed on your account so you can move through the automated system to report your outage or receive an update. The calls will be answered by an automated voice response system, which is the quickest way to report an outage or downed power line, or by call-center representatives. Follow safe operating procedures for electric generators. Never operate one inside your home or in an enclosed space, such as a garage. Do not connect portable generators directly to the electrical system of your home. Electricity could flow backward onto Dominion’s power lines and endanger lives. Either have a qualified electrician perform the work or plug appliances directly into the generator using the proper-sized extension cords. Exhaust fumes contain carbon monoxide and can be deadly, so run your generator outside with proper ventilation. Store the fuel for your generator safely. The highest priority for power restoration is always given to public safety and emergency facilities such as hospitals, emergency 911 call centers, and municipal water pumping stations. A video description of the storm restoration process is available online at www.dom.com/storm-center/how-we-restore-power.jsp.